Judy’s early career was spent in senior marketing and commercial roles in FMCG and financial services. This, coupled with a number of non-executive and trustee positions, gives her a broad business perspective and current involvement at board level. Previously with Whitehead Mann, Judy was a partner in the consumer and financial services practices, also leading the Northern office. 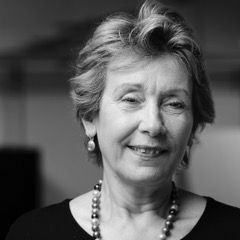 A co-founder of The Orcid Partnership, Judy has a particular interest and expertise in non-executive and other senior board appointments.